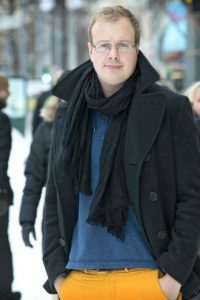 Oscar Winberg is a PhD Candidate at the History Department of Åbo Akademi University, working on modern American political history. Winberg’s research focuses on the intersection of entertainment and politics. His dissertation is a political history of the television sitcom All in the Family, the first comprehensive study of how the most popular show on television in the 1970s became a part of the political battles of the decade. Winberg is a part of a research project, organized by the John Morton Center for North American Studies at the University of Turku, on the 2016 United States presidential election. His research interests include American political history, especially the history of conservatism, corporate political activism, the politics of television, and conservatism in post-war swedish-speaking Finland.